Kevin Harvick is the favorite at US sportsbooks to win the Kobalt 400 race at Las Vegas Motor Speedway in Las Vegas, Nevada, which will be the third event in the 2017 Monster Energy NASCAR Cup Series. Harvick is the current points leader in the driver standings. Harvick won the second stage of the Daytona 500, but was involved in a multicar wreck in the third stage that included Jimmie Johnson, Danica Patrick, Denny Hamlin, Chris Buescher, Trevor Bayne, and others. Harvick started on pole at the Quik Trip 500 and dominated the race, wining both Stage 1 and 2. However, he was caught speeding on pit road on the final round of pit stops and had to return, thus losing the lead. Harvick won the 2015 Kobalt 400. Keselowski is the defending Kobalt 400 champion and ranks 3rd in the 2017 Monster Energy NASCAR Cup Series after winning the Folds of Honor QuikTrip 500. Keselowski held off Kyle Larson for his first career win at Atlanta Motor Speedway and earning Ford its second win in a row. Keselowski has an average finish of third place in his last four starts in LVMS. 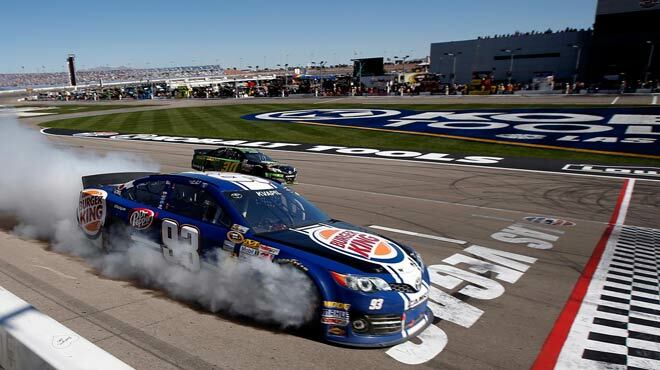 Keselowski also won the 2014 edition of the Kobalt 400. The 41 year old racer is the most winning driver in the history of the Kobalt 400 with four first place finishes, including three straight from 2006 to 2007. Overall, Johnson has nine top-10 finishes in 15 career starts at Las Vegas Motor Speedway. Johnson finished 34th in the Daytona 500 and 19th in the QuikTrip 500, so this would be perfect timing to assert his dominance in Las Vegas. Kyle is the favorite Busch brother at US sportsbooks, even though Kurt has experienced more early success this year – winning the Daytona 500 (another Ford win), finishing 7th in Atlanta, and ranking 2nd in the general standings. Kyle, on the other hand, came in 38th place in Florida and 16th in the Folds of Honor QuikTrip 500. Logano has top-10 finishes in three of four career starts in Vegas, including second place last year. Logano is currently 5th in the driver standings, placing 6th in both Daytona and Atlanta. Moreover, Logano won the 2017 Advance Auto Parts Clash; unfortunately that’s an exhibition race so it doesn’t really count. Elliott started the Daytona 500 on the pole and was leading the race as it neared the final laps, but ended up finishing in 14th place. Elliott experience tired problems at the Folds of Honor QuikTrip 500, as did indeed several other drivers. Nonetheless, Elliot managed to place 5th, and ranks 4th in the overall standings. Kenseth is another Kobalt 400 multiple winner, back-to-back in 2004-03 and then again in 2013. Furthermore, he six top 5s and nine top 10s in LVSM. Kenseth finished 3rd in Atlanta. You’re always a favorite at betting websites when your first name is Dale and your last name is Earnhardt.